How faith, the natural world, and community can provide complementary paths for leading a good life People have long looked to nature and the divine as paths to the good. In this panoramic meditation on the harmonious life, Michael Mayerfeld Bell traces how these two paths came to be seen as separate from human ways, and how many of today's conflicts can be traced back thousands of years to this ancient divide. Taking readers on a spellbinding journey through history and across the globe, Bell begins with the pagan view, which sees nature and the divine as entangled with the human--and not necessarily good. But the emergence of urban societies gave rise to new moral concerns about the political character of human life. Wealth and inequality grew, and urban people sought to justify their passions. In the face of such concerns, nature and the divine came to be partitioned from the human, and therefore seen to be good--but they also became absolute and divisive. Bell charts the unfolding of this new moral imagination in the rise of Buddhism, Christianity, Daoism, Hinduism, Jainism, and many other traditions that emerged with bourgeois life. He follows developments in moral thought, from the religions of the ancient Sumerians, Greeks, and Hebrews to the science and environmentalism of today, along the way visiting with contemporary indigenous people in South Africa, Costa Rica, and the United States. 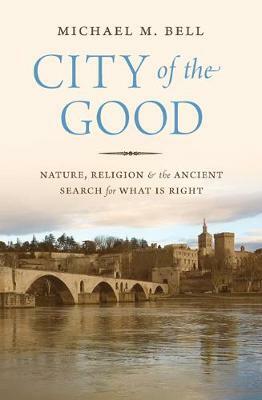 City of the Good urges us to embrace the plurality of our traditions--from the pagan to the bourgeois--and to guard against absolutism and remain open to difference and its endless creativity.